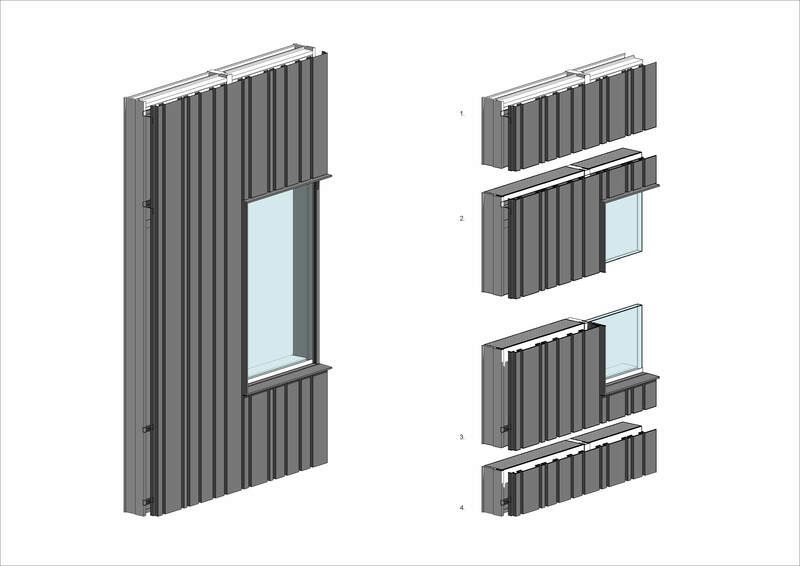 We are working on a project where the facade will be a prefabricated modular facade, where the modules will arrive at the construction yard ready to be mounted on to the slabs. Since the modules contains everything from exterior cladding, exterior shading, insulation, interior wall cladding, there will be no need to do anything more with the facade after every module have been mounted. 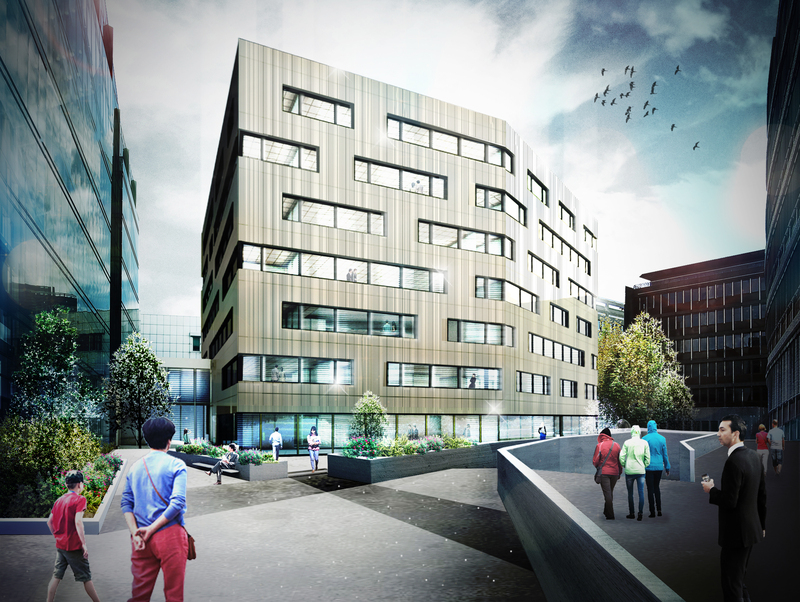 The reduced construction time at the construction yard is one of the reason it is getting more and more popular with prefabricated modular facades. It is also getting increasingly popular because of reduced cost and increased precision. 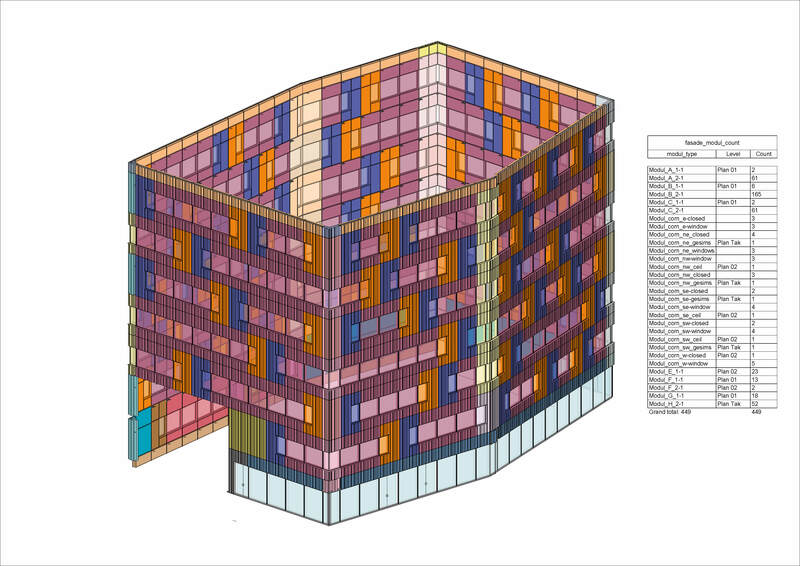 There are many ways of modeling a modular facade in Revit, and it varies from project to project. 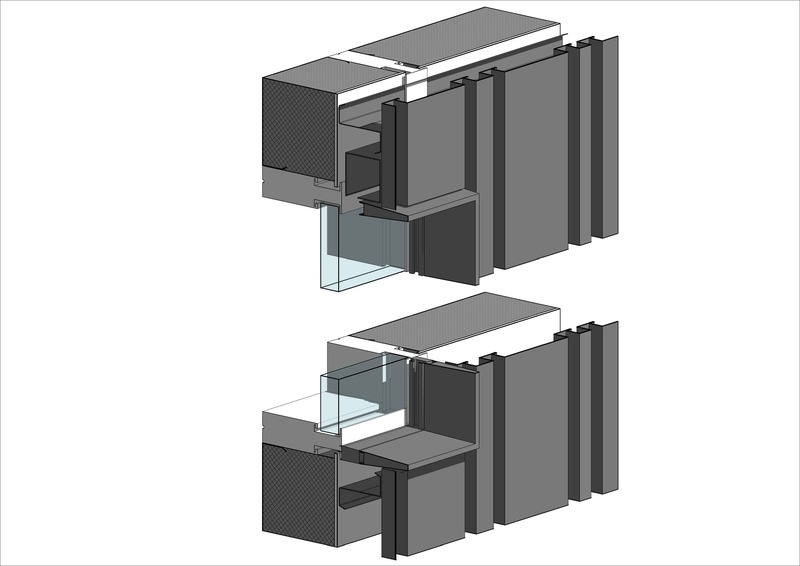 In this project I have used a lot of Curtain Walls and Groups, which has some pros and cons. I will divide this Case Studie in multiple parts, where this part will cover the general principles of model with groups. The width of each module is 2400 mm and the height is in 3800 mm. 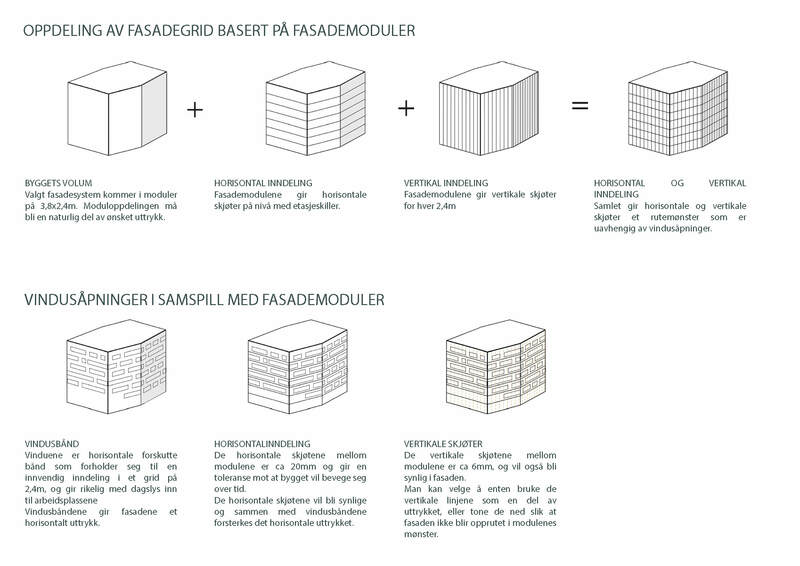 This will give the facade a modular grid. You should try to have as few types of modules as possible since the amount of different modules usually will have a cost effect. Sometimes you have to balance the amount of different types of modules with the amount of flexibility. But not always. This is specially important in the early stages of the project, because if you can’t keep it simple in the start you may end up with a to «complex» end result. 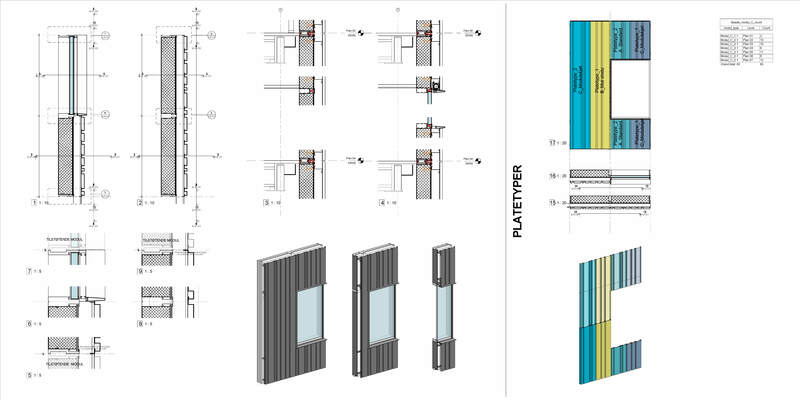 In this facade I almost only uses Curtain Walls with different Curtain Wall Panels and Mullions. I will explain this in depth in my next blog post. Remember, all the hard work you are using modeling your facade in 3D, you will be able to harvest directly from your model to production drawings. And that is a great feeling!